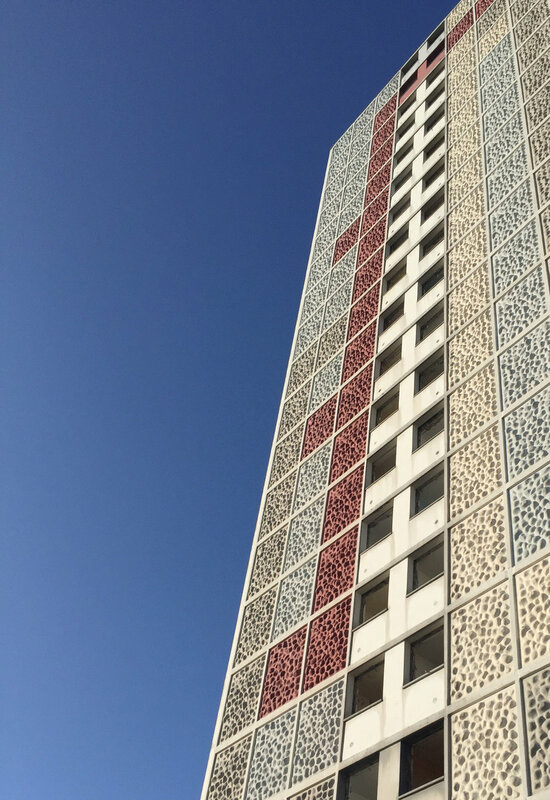 Sighthill is a residential neighbourhood directly north of Glasgow City Centre - a 1960’s scheme originally made up of ten twenty-storey tower blocks looming large against the skyline, and in the psyche of the city. 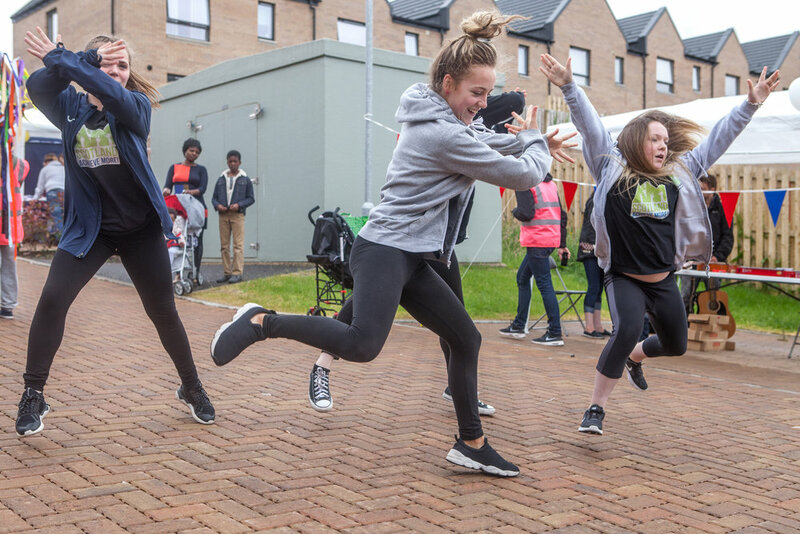 We were commissioned by Glasgow Housing Association to work with the existing residents to build capacity for the delivery of an outdoor space - a community garden - that had been pledged as part of the regeneration process. Despite its proximity to the city centre, Sighthill is isolated geographically. The M8 motorway directly to the south of the neighbourhood acts as a physical barrier to the rest of the city. Decades of dwindling occupancy rates, entrenched stigma perpetuated by local media, and the reality of living alongside extensive demolition and physical upheaval further compounded this sense of isolation on a social level. In beginning our work with the residents of Sighthill our first objective was to reconnect them with their city. 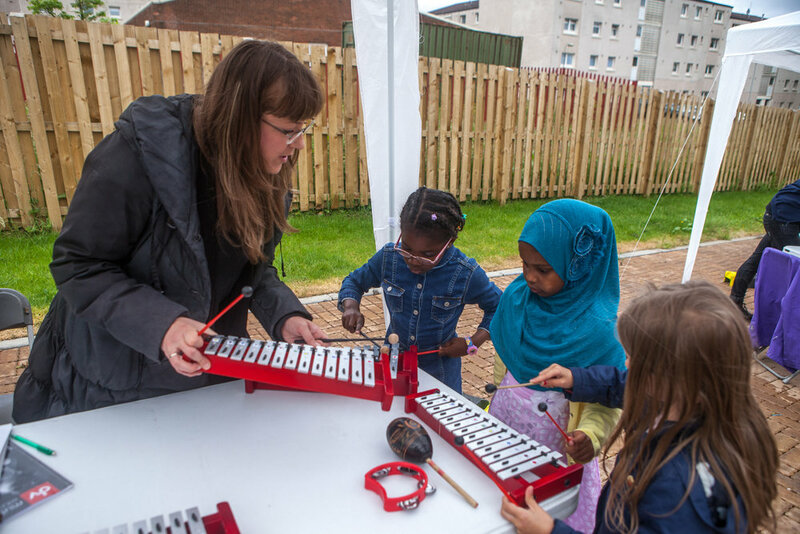 We invited residents to spend time with us, visiting examples of community gardens across Glasgow, meeting the people who run them, and getting their hands dirty. As well as showing what might be possible for their own community garden, this was a way of growing the confidence and network of the community group. Our next step was to make the size and location of the proposed garden tangible. Our work with the community focused upon building capacity for the future community garden - ensuring the sustainability of the project by making sure that it wouldn’t solely rely on outside investment or input to guarantee its continued use. As our work progressed, and the reality of the garden came into focus for the residents, questions began to come up about whether this was actually something the community wanted to take on at this point. In order to access the funding required, the residents would need to form a constituted group. Conversations began to turn towards what the community needed then and there. 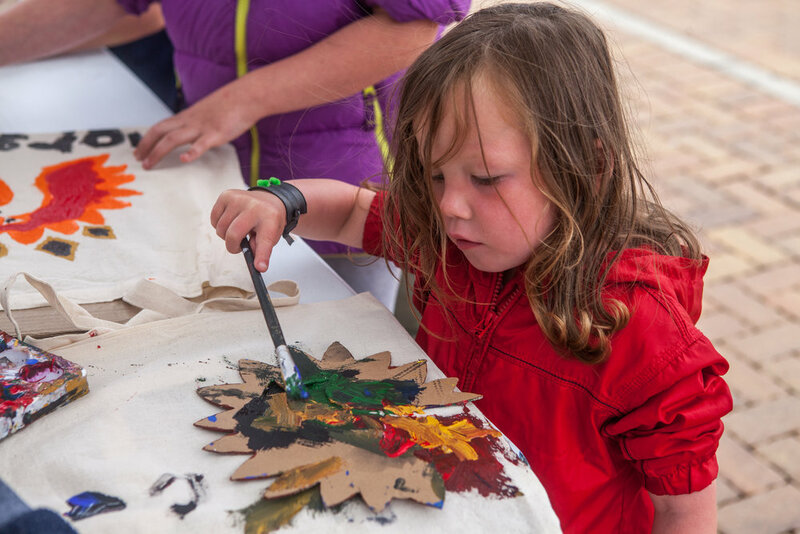 Our focus turned to equipping the community with the tools and skills needed to allow the community to gather, both now and in the future as they welcome new residents to the area. Working with local school children and a nearby ceramics studio, a set of crockery was made to replace the cups at the community centre. We ran workshops to make planters that could be moved around the area, as accessible space grew. A digital skills workshop focussed on managing an online community space where residents could share resources and publicise events.